Repairing Your Credit after Bankruptcy (Part 2) - Castle Rock Bankruptcy Attorney - Jon B. Clarke, P.C. Paying off the balance on a new credit card each month and fixing mistakes on credit reports can help borrowers slowly rebuild their credit after bankruptcy. Taking out one new credit card – Because bankruptcy will discharge a borrower’s credit card debts, after bankruptcy, borrowers will likely not have access to any lines of credit. Although opening up new credit cards can be dangerous if credit card debt was one of the main reasons that borrowers had to file bankruptcy in the first place, being careful with this new line of credit can help them slowly repair their credit rating. It’s essential to point out that borrowers who have recently filed for bankruptcy will likely have to put up some collateral in order to secure a new credit card and that these cards typically come with high interest rates. Pay off the balance of the credit card each month – In order to make a new line of credit work in a borrower’s favor, he should limit the types and amounts of purchases he makes on this new card and should only charge amounts that he knows he will be able to pay off entirely each month. Carrying a balance on credit cards is not good for anyone’s credit – let alone borrowers who have recently filed for bankruptcy. 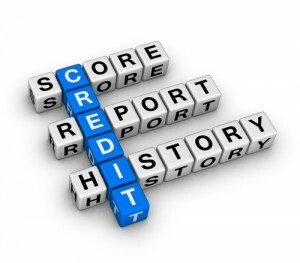 Regularly review credit reports – Once every six months to a year, borrowers who have filed for bankruptcy should request a free copy of their credit report from all of the three major credit reporting agencies, and they should carefully read through these reports to check for any potential errors or mistakes. Zeroing in on credit report mistakes can help borrowers fix their credit reports and ultimately avoid being penalized for errors they had no hand in creating.